Deutsche Lufthansa AG reported a first-quarter loss because of rising fuel costs, highlighting industry woes that prompted the German airline to cut its growth plans last month. The adjusted loss before interest and taxes was 336 million euros ($380 million), the country’s biggest carrier said in a statement Monday after the market closed. That compared with earnings of 52 million euros (Dh216 million) a year earlier. The downturn was particularly stark because of strong results for the beginning of last year following the collapse of Air Berlin, it said. The loss comes after Lufthansa opted to pare planned capacity increases this summer to bolster fare prices and focus on profitability. The European airline industry is coming off a tough year, with bad weather and air-traffic-control strikes among the factors hurting profit. Irish low-cost giant Ryanair Holdings Plc has warned that depressed fares will continue for the rest of the year. 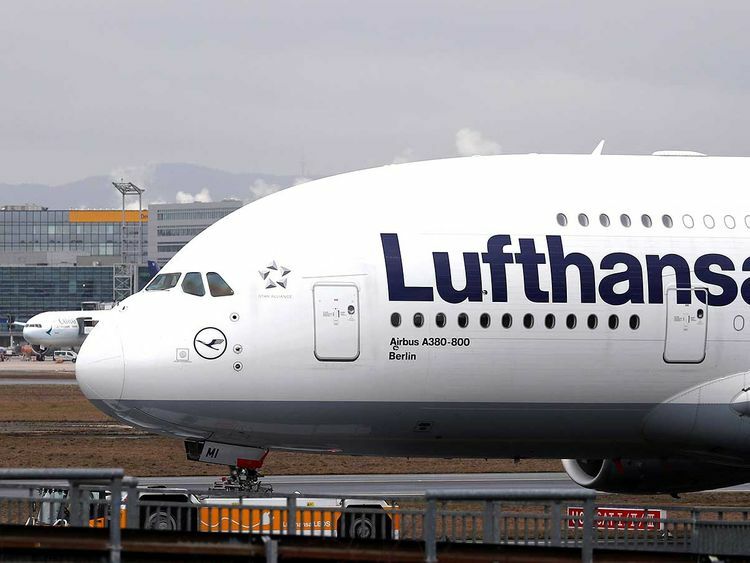 Lufthansa’s fuel bill rose by 202 million euros in the first quarter, in line with a company forecast for increases of 200 million euros in each of the first three quarters. The full-year rise is expected to be 650 million euros, the airline said in a presentation last month. The carrier still expects to report annual adjusted EBIT margin of between 6.5 per cent and 8 per cent, the carrier said. Revenue for each passenger flown a mile will increase this quarter from a year earlier, Lufthansa said, citing favourable bookings and slowing capacity growth across the industry. The company will publish detailed first-quarter results on April 30. The stock has gained 12 per cent this year, valuing the carrier at 10.5 billion euros.